A ladies deep purple scarf in a rich opulent colour with irregular purple patch detail and a long spaced fringe. Length approx 62". 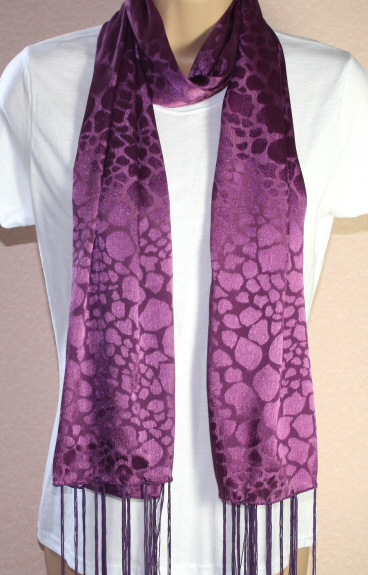 Width 20"
A long straight ladies scarf with stripes of varying shades of purple.